We headed down to Cody, a town where we have been several times before and still really enjoy it. This is a base for a week or two, as we do the museums, watch the balloons, do a little fishing and shooting, and just relax in a place where we feel real comfortable. 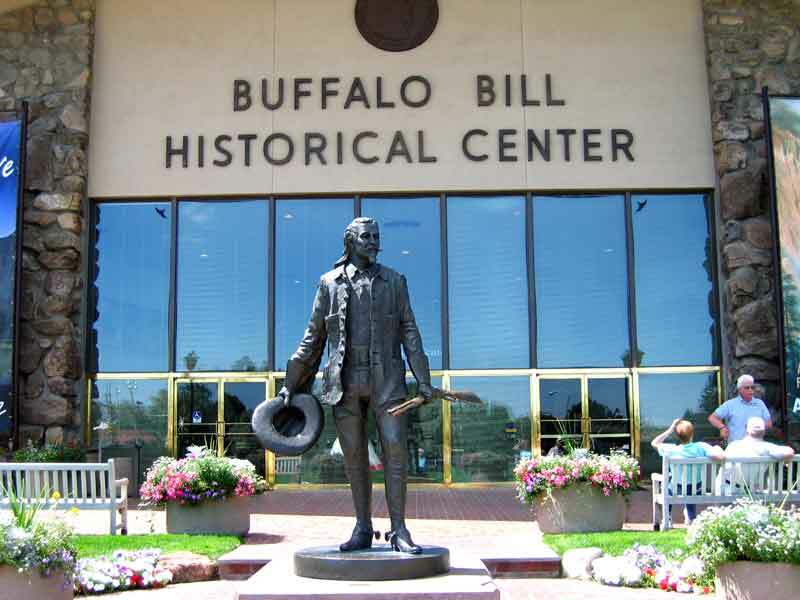 The Buffalo Bill Historical Center is a complex of five museums, each with a distinct theme. If you come to see these, and it would be well worth your time, plan on spending two days. In fact, the admission price allows for two days. There is an entire museum that covers Buffalo Bill Cody and his associates. 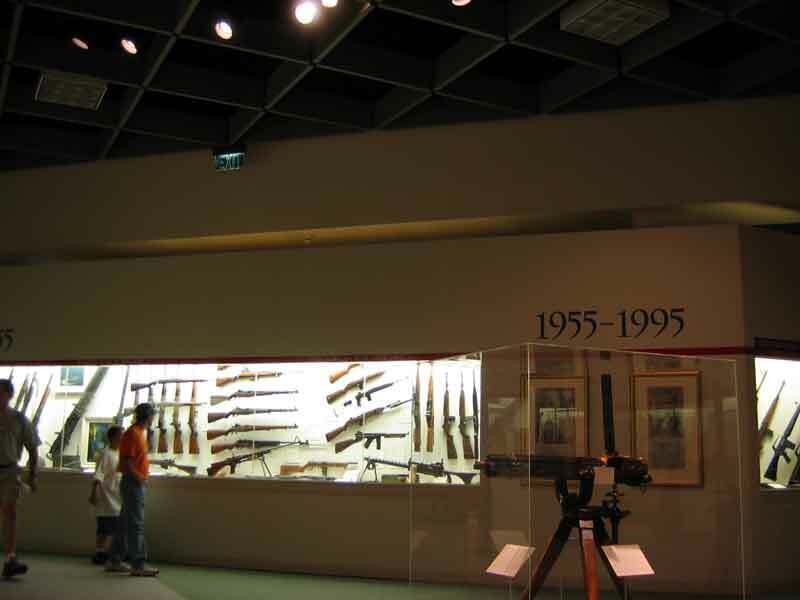 The American Firearms museum has over 2700 guns on display that covers the history of firearms. It includes the entire Winchester Collection that was moved here from New Haven, CT in 1976. 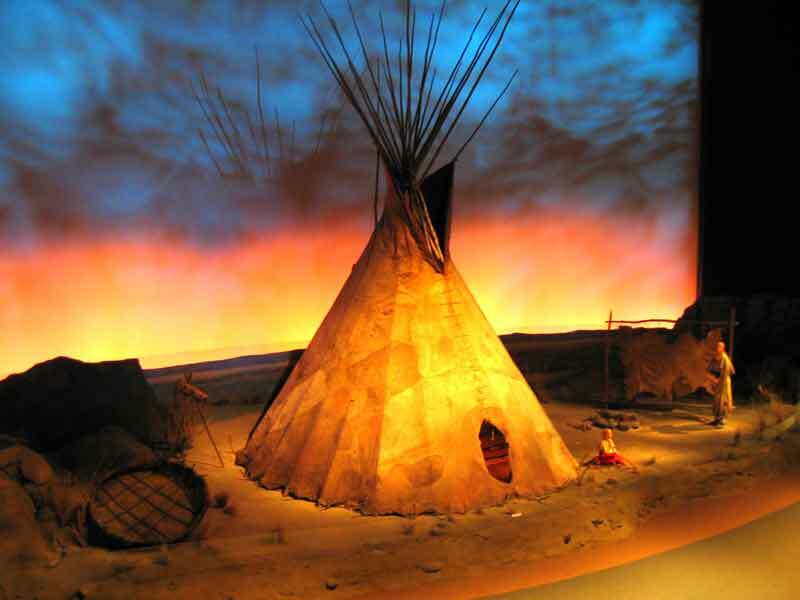 There is a collection of Western Art, a Natural History museum and a Plains Indian collection. 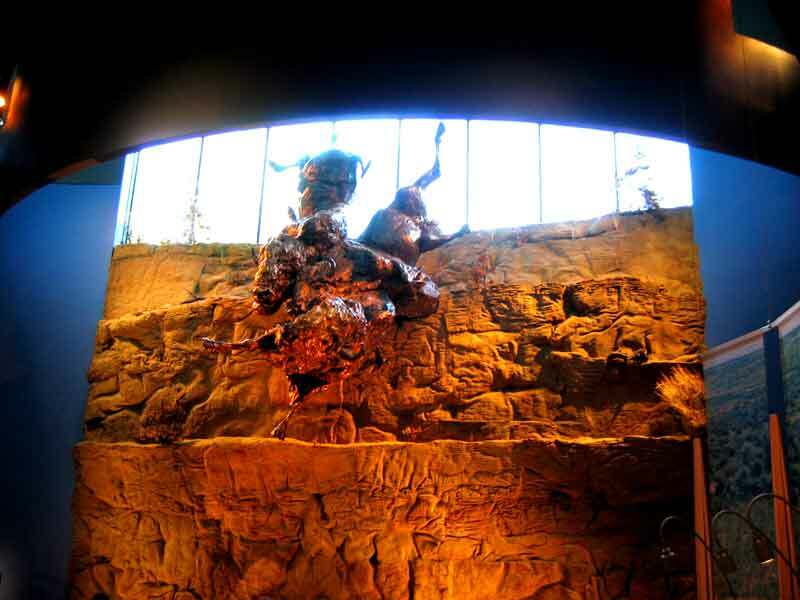 Left: A bronze statute depicting a buffalo jump. Right: The American Firearms museum. 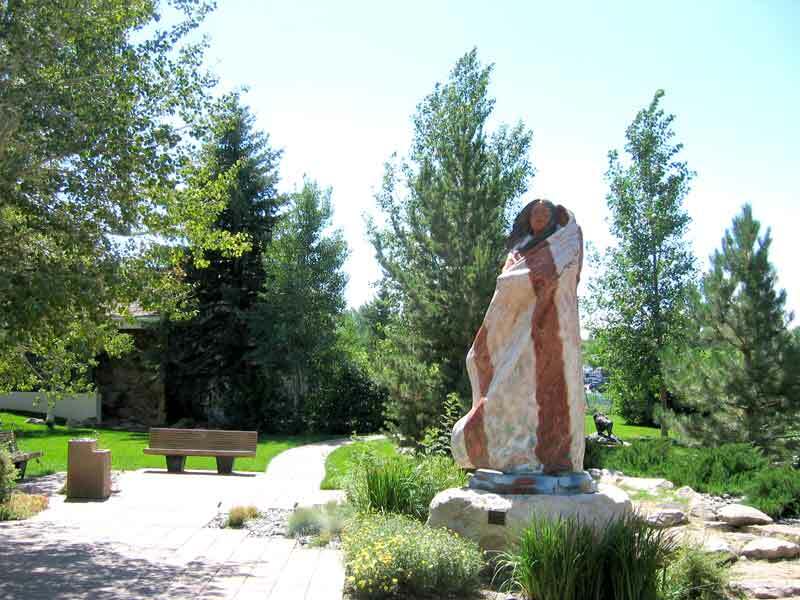 Left: A statute of Sacagawea in the garden. Right: A plains indians camp. 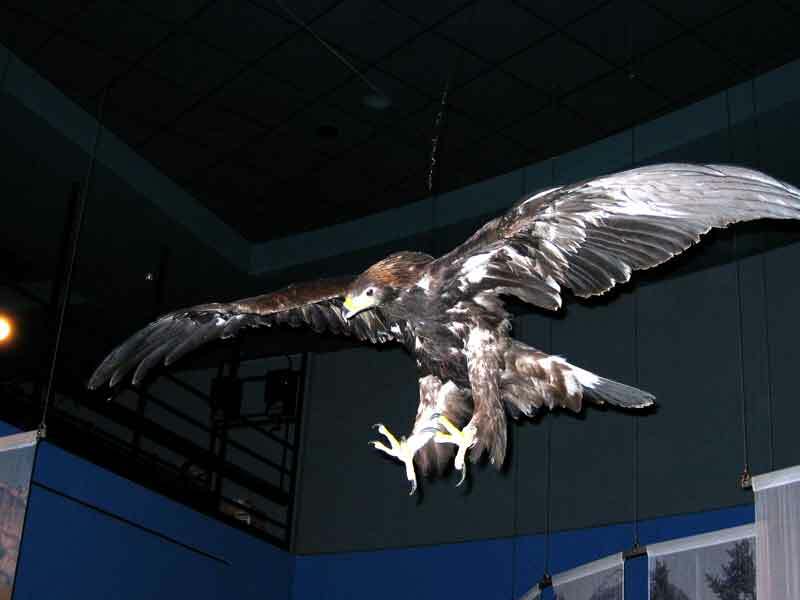 Left: A golden eagle in the Natural History museum. 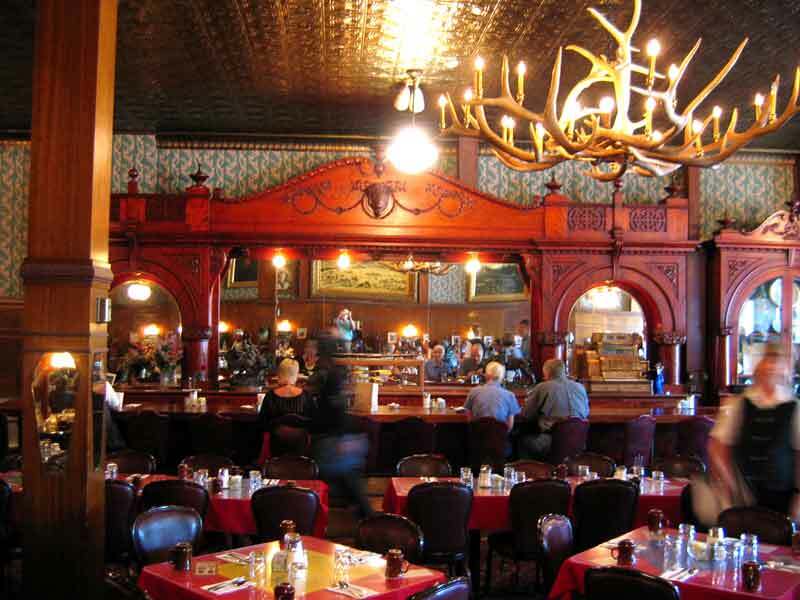 Right: The bar at the Irma Hotel. Irma was Bill Cody's daughter.